In 2007, NASA’s Spirit rover was exploring a deposit of volcanic ash looking for traces of the presence of life on the surface of Mars. It rolled into the inner basin of the Gusev crater, an area close to what’s called Home Plate, and came across exposure of opaline silica, a biogenic material. But nothing came from this event — the potential significance wasn’t realized. Now geoscientists from Arizona State University argue it’s time to go back to the Gusev crater. In a paper published Thursday in Nature, co-authors Steve Ruff and Jack Farmer argue that the 2020 Mars rover mission should return to the crater because of a discovery they made on our very own planet. 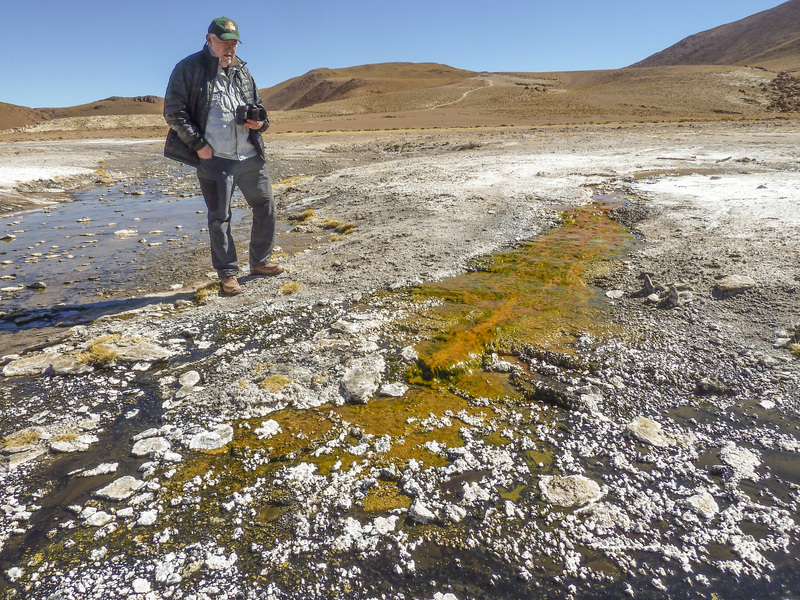 Northern Chile is home to the Atacama Desert, and at the edge of this desert are the El Tatio hot springs. Ruff and Farmer argue that these hot springs are a Mars analog site, an area on Earth that mimics the environment of the Red Planet, past and present. An analysis of the hot springs’ discharge channels revealed halite-encrusted silica yields — what the researchers describe as the “best match yet” to what Spirit came across in 2007. Where silica deposits were found on Mars. The emphasis here is “alive at the time” — if it’s true that the Martian silica is analogous to the El Tatio silica, then that’s the sort of blue ribbon biosignature scientists have been looking for. More bluntly: A biosignature means life once existed on Mars. Now Ruff and Farmer have to convince NASA to send the next rover back to the silica deposits. Right now the Gusev Crater site is ranked number two on the list of eight potential sites, right behind an ancient lakebed in Jezero Crater. The eight potential sites will be cut down to four at the next site selection in workshop in February 2017. The hope is that whatever site is chosen will end up revealing the first evidence of life on Mars.